In this not-to-be-missed presentation, Big Cat legend Steve Winter will share his intense encounters and astonishing images of the big cats of India, Brazil, and Hollywood. 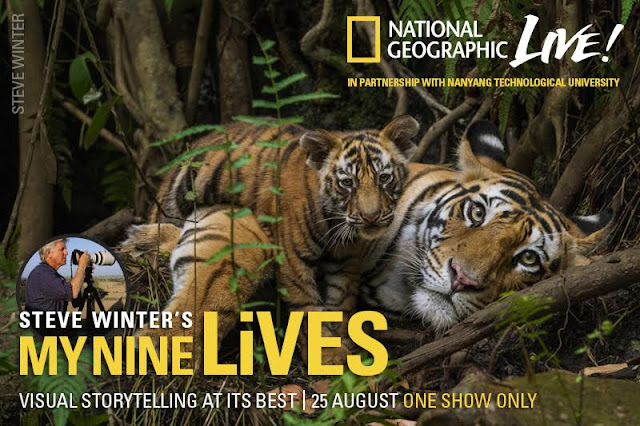 One of the world’s most extraordinary wildlife photographers, Steve Winter will share his gripping tales live on stage, from coming face-to-face with tigers in India’s Kaziranga National Park – one of the last places where tigers still share the land with elephants, rhinos, and deer – to capturing nocturnal adventures of a mountain lion in the Hollywood hills. Ticketing Details: Tickets are priced from $39* - see the Sistic website for more details.